It is a little sad to think winter is next… but for now, the days and nights are equal and the weather is nice… hmm, equal days and nights is kinda like being in Hawaii… which is also a paradise…. We took our little flotilla down river on Sunday. With the tide going out and the wind on our backs it was an easy paddle about 3.5 hours to the next landing. 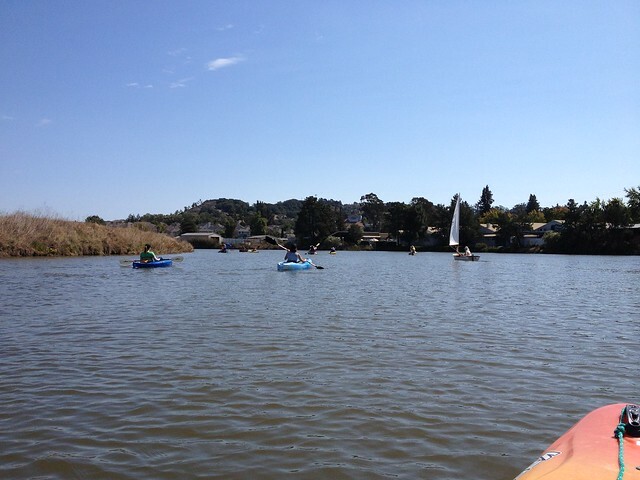 Felt like we could of kept going to San Francisco… 10 miles down river, another couple across the bay….